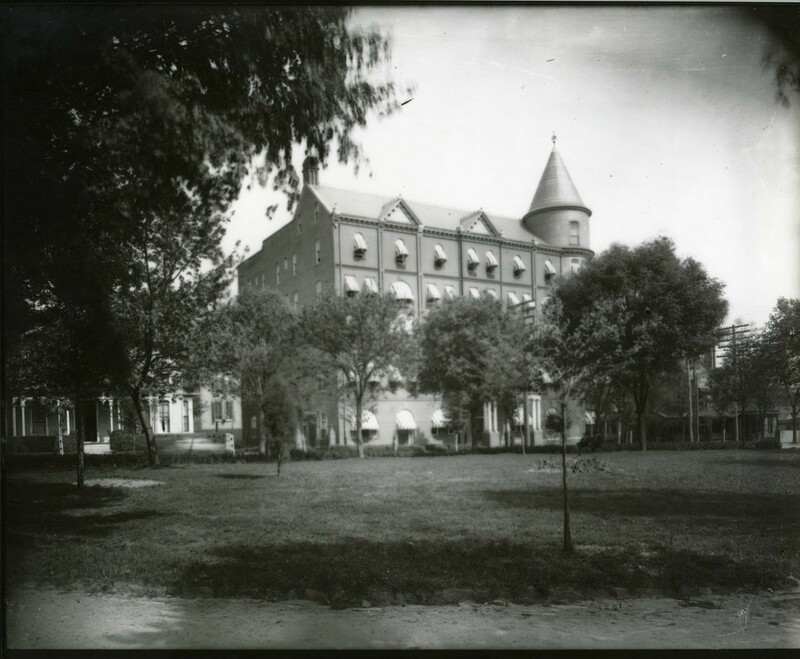 Located at the intersections of McDowell and Martin Street, the Park Hotel stood diagonally across from Nash Square. Later known as Hotel Raleigh, the building site today is a surface parking lot. Designed by A.G. Bauer. 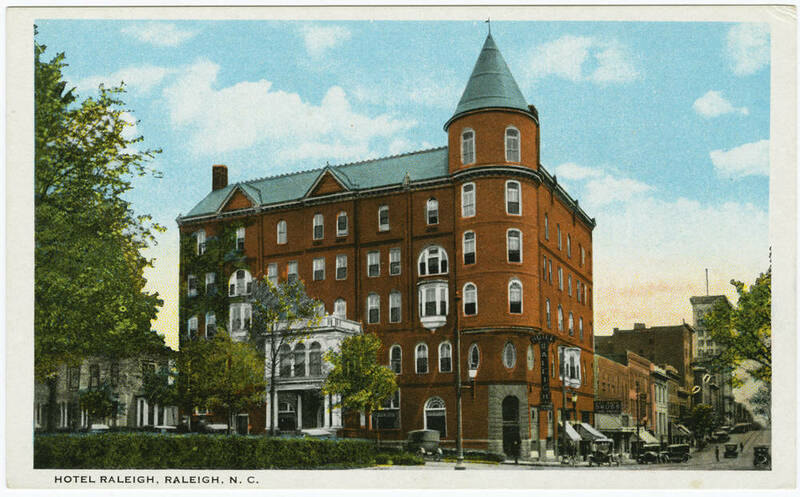 Photo: PhC.184 Massengill Postcard Collection, August 2015 addition, State Archives of North Carolina, Raleigh, NC.